"Pupils from a range of backgrounds thrive in this highly successful and inclusive school." 2018 Ofsted Inspection - "Pupils from a range of backgrounds thrive in this highly successful and inclusive school"
King's received a short one day Section 8 inspection on Wednesday 5th December. 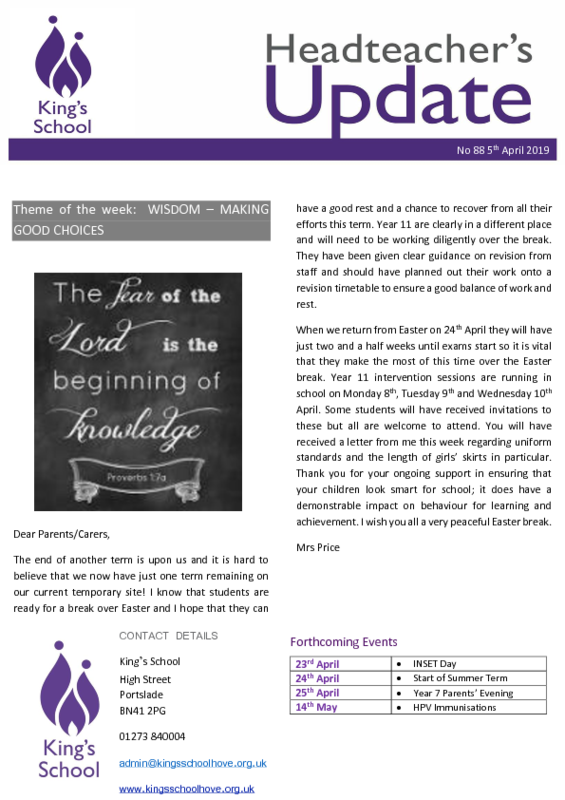 Please click here for the report on the school and here for Mrs Price's covering letter to parents. Our founding cohort sat their GCSE exams in the Summer of 2018 and achieved exceptional results, with 83% of students achieving Grade 4 or above in English, and 81% gaining a Grade 4 or above in Maths. 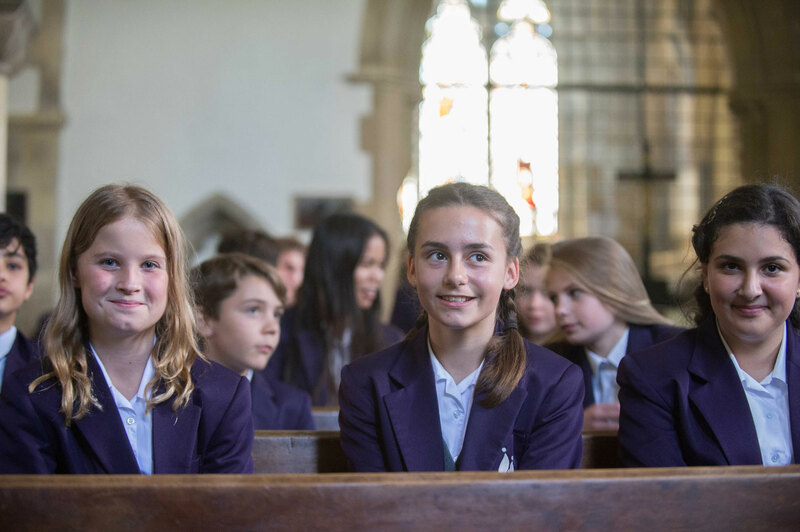 The average grade for our students per exam was a grade 5 (described nationally as ‘a strong pass’); 40% of all grades were at grade 6 or above and 10% of all grades were the prestigious top grades 8 and 9. Those students who have been with us for the full five years since our opening in 2013 appear to have made progress in the top 5% nationally. Please click here for further information on 2018 GCSE results. Congratulations to our wonderful founding year group! These values permeate everything we do and are evident in the atmosphere and day to day operation of the school. Effective and engaging teaching, which benefits every student, is at the heart of everything we do at King’s. Supported by the Russell Education Trust, we are committed to high academic standards for all regardless of prior attainment on entry. The Christian faith underpins our caring ethos, which supports each student to excel. How to apply for a place at King's. View recent letters and notices, see term dates. King's School's Curriculum, Show My Homework and VLE. We aim for our offering outside the classroom to be as rich as our offering inside.